To be the international voice of standards users and the forum for sharing information, knowledge and expertise relevant to the needs of standards users. IFAN, as an international organization will work to promote the development and use of international standardization in order to bring technological, economic and societal benefits that will break down barriers to international trade. 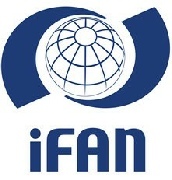 IFAN intends to introduce and promote the views and ideas of standards users for improved standardization in the right place(s) – primarily (ISO /IEC / ITU) but also other international standardization organizations which are in turn grateful to receive the input and views of the standards users’ community. IFAN supports that governments and governmental agencies rely on voluntary standards in preference to regulation whenever possible because standards are more responsive to the global market and enable innovation. Conformity assessment is a key activity for global trade, confidence within supply chains, for end consumers and as a useful tool for regulators. As a result, these services must respond to users’ needs, have integrity, transparency, be impartial and cost effective. The use of these schemes should be based on risk assessment and the principles of neutrality. Standardization is a strategic asset at the level of companies, industry sectors, countries and regions. To excel in standardization, proper education and training are needed. IFAN encourages all standardization bodies and the concerned stakeholders at the national, regional and international levels to take initiatives to increase standardization education and training. IFAN provides the structure so that the national and corporate members can benefit from each other’s experiences and share as much good practice as possible. IFAN is the premier forum for sharing information on standards users and benchmarking.